The 2 lb Ankle/ Wrist Weights can be used to add resistance for a variety of upper and lower body workouts such as walking, toning and stretching exercises. The added weight helps tone your arms, thighs and calves. Made of soft, stretchy neoprene fabric that are breathable and comfortable to wear. The hook and loop adjustable strap allows you to adjust the size to a perfect fit. Each weight is 1 lb. Hook and loop adjustable strap, allows you to adjust the size to a perfect fit. 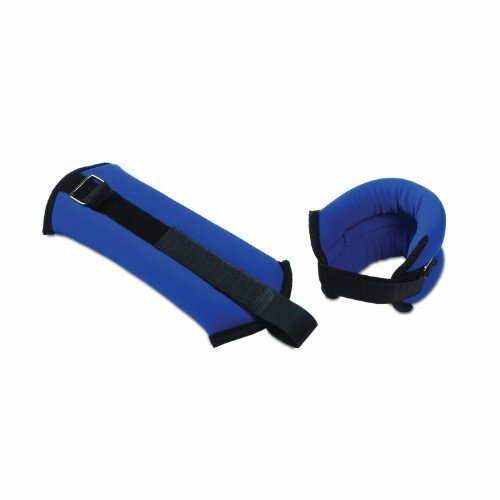 ZON Ankle/Wrist Weights - 5 lb.